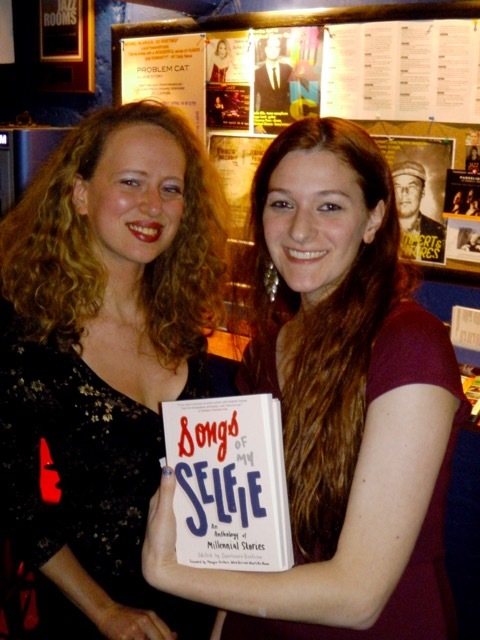 Home→Book Launch→Thrilling launch for SONGS OF MY SELFIE — Check out these fun pix! 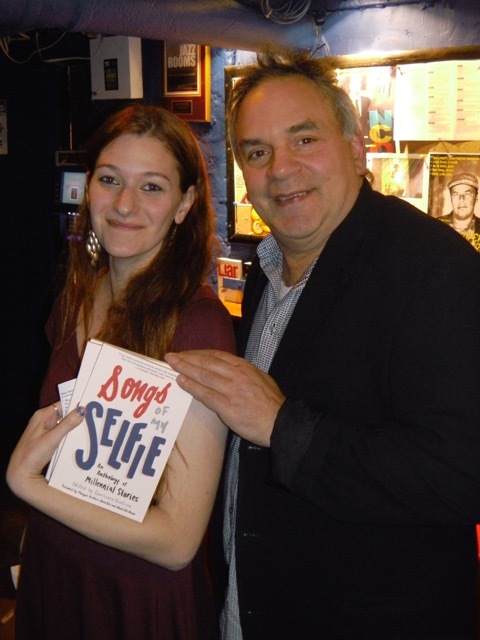 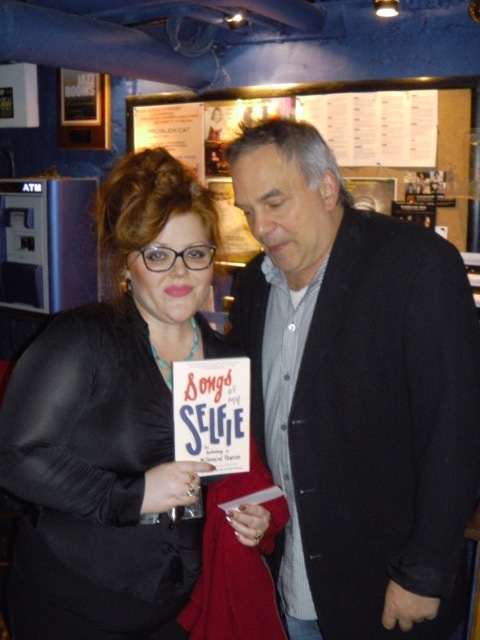 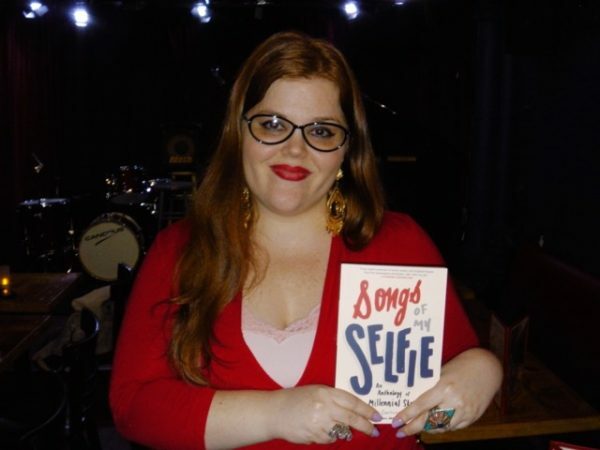 Thrilling launch for SONGS OF MY SELFIE — Check out these fun pix! 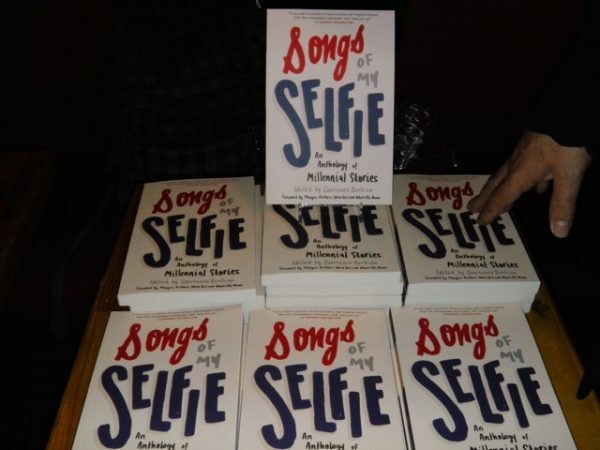 Last night’s NYC launch for SONGS OF MY SELFIE: An Anthology of Millennial Stores was memorable, meaningful, and downright fun! 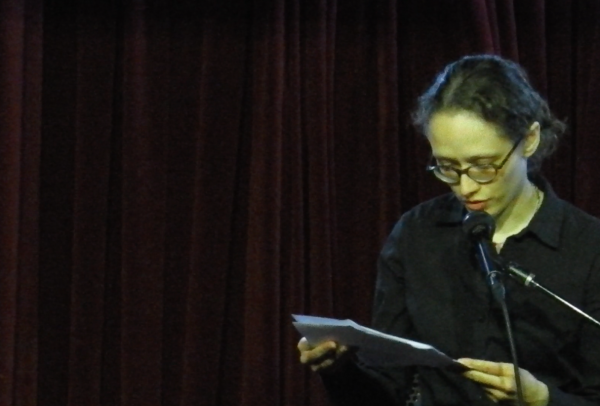 The house was standing room only–sorry to those of you who couldn’t get in! 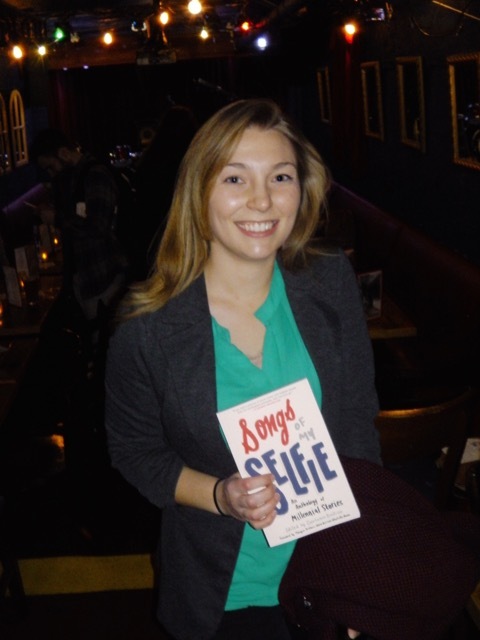 More than half of collection’s authors were on hand to share excerpts from their work, sign books, and celebrate seeing their words in print–many for the first time in their lives! 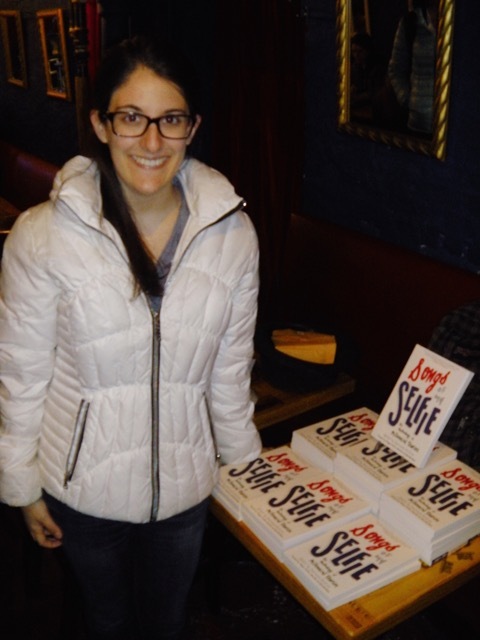 Authors at the event included SOMS contributors Suzanne Herman, Stephanie Bramson, Tiffany Ferentini, Theresa Buchta, Jared Shaffer, Angela Sloan, Tara Isabella Burton, Carolyn Drake, Angus McLinn, and Katherine Sloan. 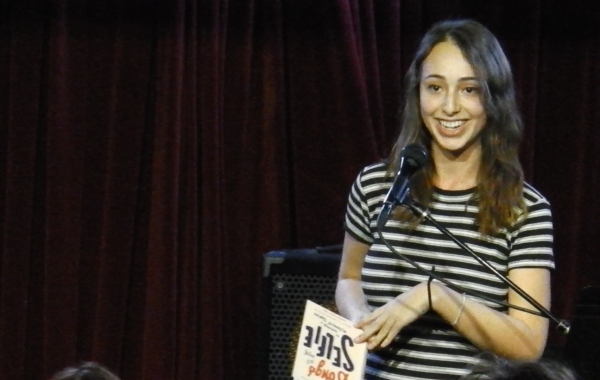 Editor Constance Renfrow hosted the event, offering insight into what drew her to accept each story from the huge number of submissions that this open invitation book drew back in 2015. 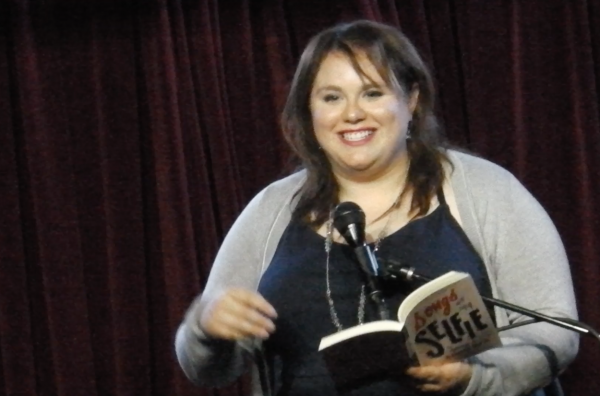 And author/poet Meagan Brothers joined in the fun, offering a rare excerpt of the PREQUEL to her most recent novel, the critically-acclaimed Weird Girl and What’s His Name. 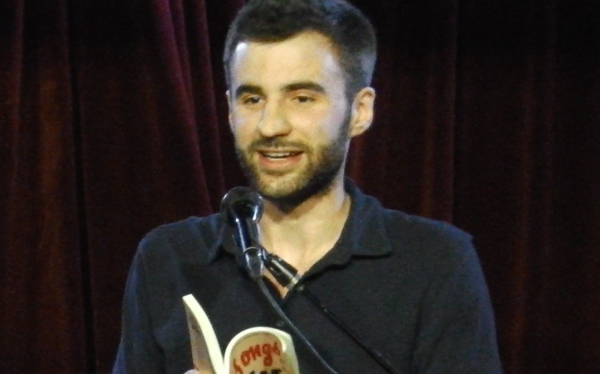 Add to that the excitement of being named to RedEye’s (Chicago Tribune blog) list of “25 new books we can’t wait to get our hands on in April” and the high spririts carried through all night long. 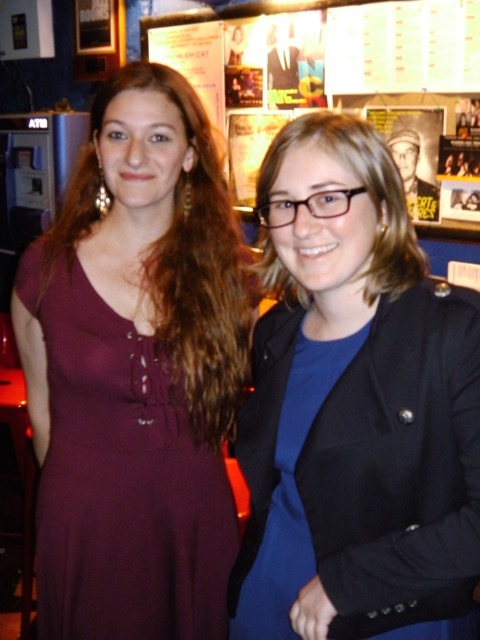 Thanks to Cornelia Street Cafe for continuing to host exciting literary events like this! 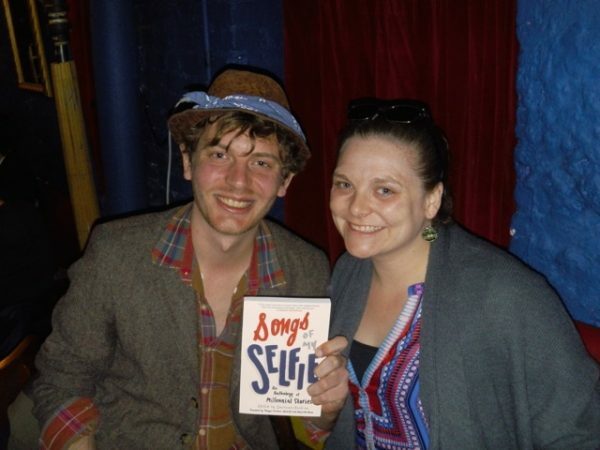 We truly appreciate it. 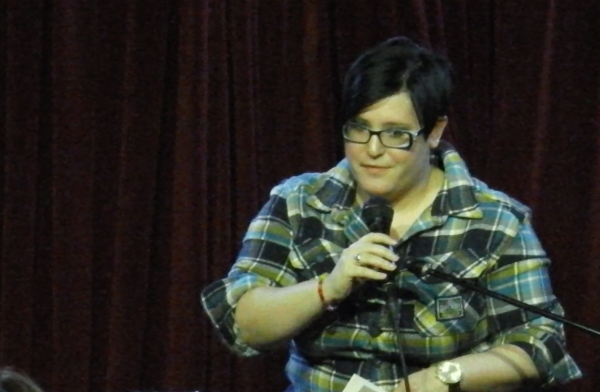 The house was standing room only!